Join Nicole, and her sidekick Igor, as they trek across the globe in search of her missing father! Discover a secret so big that it could threaten the very course of human history. Solve puzzles from her home in New York City, to distant lands on the other side of the world to find her beloved father and save human kind. 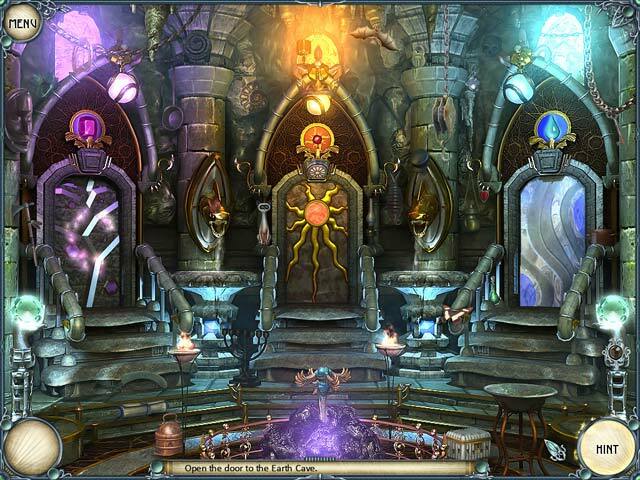 Solve interactive puzzles and find many Hidden Object scenes in Mystery of the Crystal Portal - Beyond the Horizon. 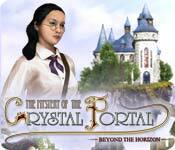 The Mystery of the Crystal Portal: Beyond the Horizon is rated 3.4 out of 5 by 18. Rated 5 out of 5 by radarsweet from Absolutelly Loved IT! I'm a bit stymied at the other comments about this game. I found this to be a great follow-up to the first Crystal Portal game. My only complaint is that is was way too short. I love the idea behind these games, where in order to move forward, you must find several items to find - well, several items! The story line in this game was a bit weaker than the first game, but still enjoyable. Ok, Igor was a bit much, but hey, all these games have some kind of character that shouldn't be there. Be warned: The hint & skip in this game is VERY slow. You could be through two more scenes before it is ready to go again. So be judicious in your use of it. I would definitely recommend this game. I loved it! I wish they would come out with a third game in this series. Rated 5 out of 5 by MarjAZ from I really liked this game! It was a nice change to go back to the fan-type HOGs. I had not done one of these for a long time. I thought the story line was refreshing, too. I tend to stay away from the dark tales. I liked not hearing voice overs, too. Sometimes they get quite silly. I also liked the calming music. The graphics were wonderful, too. I am going to look for the first game to see if I have it. If not, will get it. Rated 5 out of 5 by archivist80 from Great adventure I loved this game and hope they will come out with more adventures for this character. Very imaginative! Rated 4 out of 5 by cuorips from it was really cute and relaxing I like the HO being in a fan, multi fans, they did a good job with the graphics, I enjoyed it. Rated 4 out of 5 by neilskinut from Not that bad of a game I enjoyed playing it. Not that difficult to play. Igor helps you out as you seek clues. Worth playing. More of a game for beginners. Rated 4 out of 5 by rosekaufmann from WAITING FOR THE NEXT SEQUEL Just played the game again. We have another portal and another trip to Atlantis where you’re going to find yet another family member (your dad) and, even though the premise was nothing new, the game was still enjoyable the 2nd time around. Music calming – I left sound on, though I don’t usually do so. Visuals clear and colorful. No back and forth between numerous locations. When you finish an area, the game automatically takes you to the next location. Instead of a straight HOG, it was generally finding objects that go into a circle – some objects had to be completed before they could be put into the circle. (Don’t know what that type of puzzle is called, but I like them.) Appears there is no clicking penalty. A few puzzles, not particularly difficult. You could change the border around the scenes by finding enough red gems hidden throughout the game. Probably not too difficult for a novice. There will be a sequel, which I will also be buying. Rated 4 out of 5 by spiritlaughing from Enjoyed This One! I have played the first game in the sequel and am in the middle of this one. True it is different than HOGs that are dark and have great adventure, which I also truly love to play. This one is quite different, but that's good too. It is relaxing play, challenging, enjoyable, and I like the bubble effect with object pictures instead of the list of objects that is in most HOGs. I recommend it, was lots of fun for me and a change from the majority of HOGs. Rated 4 out of 5 by Little_Joe1 from sequel to "The Mystery of the Crystal Portal" This game is the sequel to "The Mystery of the Crystal Portal", and players who liked the first game will like this one, too. 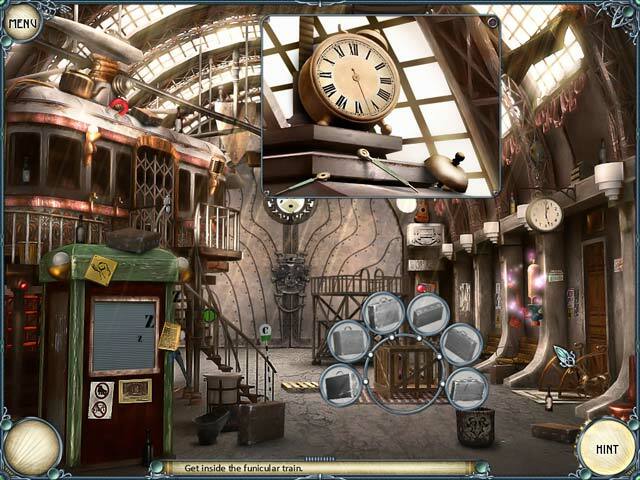 It is a hidden objects game of a different kind: Instead of searching items from a list (or fragmented items), you need to first find in each scene objects you need to interact with (sometimes it is unclear which ones that will be, so be prepared for some "random clicking"), and once you found the object(s) that needs to be activated, it gives you in circles the objects you need to find for it and which you have to drop on it to activate this. The visuals are beautiful, and there are lots of scenes to explore. The mini-games are fun and not too difficult, and they can be skipped. You can play it in two modes, which is nice. As I mentioned before, the biggest downside is often to find the first object that needs to be activated - you get clues from the plot, but often they are not necessarily connected to the objects that you need to activate first. I would recommend it for players who want a different kind of HO game and who are tired of matching (written) lists with objects. Join Nicole, and her sidekick Igor, as they trek across the globe in search of her missing father! 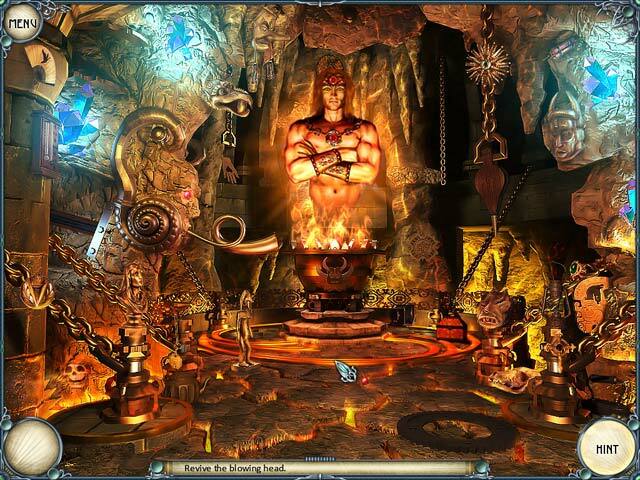 Dive into Hidden Object fun!